Massachusetts Gov. 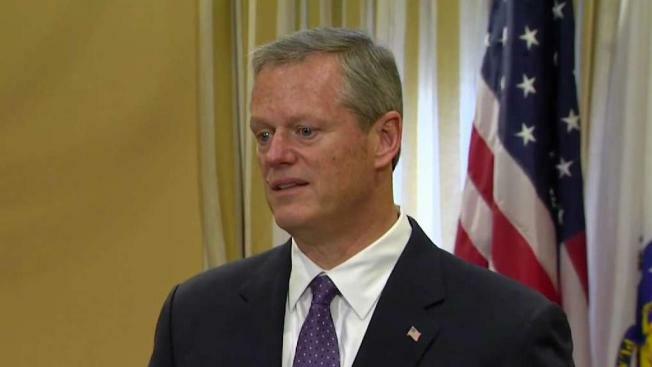 Charlie Baker responded Monday to allegations that his son, Andrew, groped a woman on a flight to Boston last week. Massachusetts Gov. 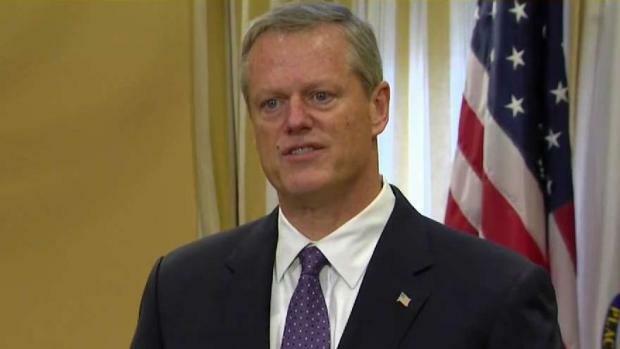 Charlie Baker said Monday that he looks forward to "a full and complete and independent review" of allegations that his son groped a woman on a flight to Boston last week. Speaking publicly for the first time since the allegations against Andrew Baker surfaced Friday, the Republican governor called it a "personal matter" and said he wasn't able to say much because of the investigation being conducted by the U.S. Attorney's Office. 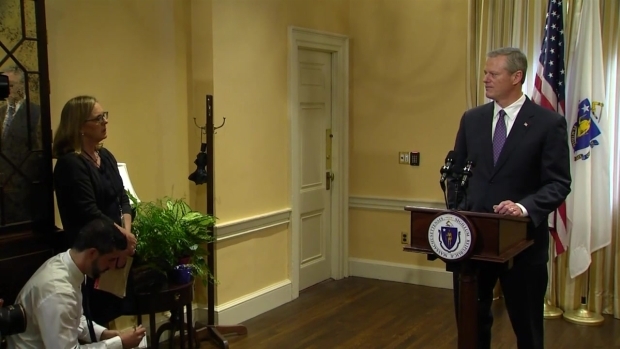 "My family and I expect a thorough review to take place," Gov. Baker said. "We also expect the review will be fair and completely independent from this office. State authorities are not involved in this matter." Baker added that his son, who goes by the nickname A.J., will fully cooperate with the investigation. "Look, I love my son, but obviously these allegations are serious and they require an independent review," he said. 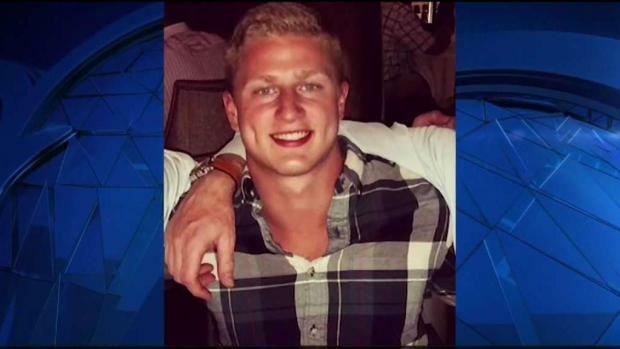 No charges have been filed against Baker's son. The younger Baker's attorney has said his client looks forward to resolving the matter. Rep. Michael Capuano said Monday at a public event that he sends his support to Baker. "Look, we all have family. I wish him well, I wish his family well," Capuano said. Somerville Mayor Joe Curtatone also sent his support. "You know, it's a very personal matter on their part and I consider him a friend," Curtatone said at the MBTA Green Line Extention groundbreaking on Monday. Massachusetts Gov. Charlie Baker spoke Monday morning about allegations that his son Andrew groped a woman on a JetBlue flight to Boston last week. JetBlue said its crew on a flight from Washington to Boston was notified of an incident between customers shortly before landing when it was met by authorities last week. The alleged assault happened aboard a JetBlue flight from Washington, D.C. to Boston on June 20. Sources told NBC10 Boston the incident happened 20 minutes before the plane landed Wednesday night at Logan Airport. The passenger allegedly told authorities that Andrew Baker, who was sitting next to her, was groping her sexually and she asked him repeatedly to stop. The flight crew then moved the alleged victim away from Baker. Massachusetts State Police came on board the flight and escorted Baker off the plane once it landed. JetBlue said in a statement Friday night, "On June 20, the crew of flight 1354 were notified of an incident between customers shortly before landing in Boston. The aircraft landed at approximately 11 p.m. local time where it was met by local authorities." JetBlue would not confirm the customers' identities. A son of Massachusetts' governor has been accused of improper conduct aboard a jetliner, and an aide says he will cooperate. State police said the matter is being handled by the U.S. Attorney's Office and directed all questions to that office. A spokeswoman for the U.S. attorney said by policy she could not confirm or deny whether an investigation had begun. One of Baker's three adult children, Andrew Baker graduated in 2016 from Union College in Schenectady, New York, and played wide receiver on the school's football team. His father spoke at commencement exercises that year and received an honorary law degree.